Tooth-colored fillings are a discrete and natural-looking option to treat cavities and other minor dental flaws and concerns. The dentists at PDADental in the Financial District, Lower Manhattan, New York, provide tooth-colored fillings as an alternative to traditional silver amalgam fillings and as an effective way to restore your smile and prevent further decay. The PDADental team utilizes the highest quality dental equipment, tools, and techniques. Call or click to schedule online today. Dental fillings can restore your teeth and work to support the tooth structure, fill a space, and prevent further decay. Tooth-colored fillings blend in with the rest of your teeth and are a more natural-looking alternative to the traditional silver fillings. Your PDA dentist will recommend a filling if you suffer from tooth decay or have cavities. Fillings are a safe and highly effective preventive care method, an aesthetic solution, and a practical and lasting way to treat minor dental flaws. 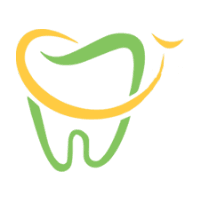 To treat decay and cavities, your PDA dentist typically removes the decayed portions of your tooth and a minor amount of the surrounding tissue. Fillings are a great option for smaller restorations, but a crown or prosthesis might be necessary for larger restorations, such as a large cavity area. Your initial consultation with your PDA dentist is your chance to discuss your goals and concerns and determine if tooth-colored fillings are right for you. A filling involves anesthesia. Your PDA dentist carefully removes decayed tooth material with special dental tools. Your PDA dentist uses care and precision to make sure this part of the procedure is tolerable and causes very little discomfort. After the decayed areas are removed, your PDA dentist applies a mild acid to help the composite bond to your tooth. Your PDA dentist then applies the composite onto your tooth in small layers, using a special dental light to harden each layer before applying the next one. Your PDA dentist makes small alterations throughout the process to ensure your filling matches your bite for maximum practicality and comfort. Tooth-colored fillings are a popular choice that offers several benefits. Tooth-colored fillings are discrete and blend in with your natural teeth. They can help restore your natural smile without anyone noticing you’ve had a dental treatment. Most tooth-colored fillings aren’t noticeable at all and many people prefer this alternative to the traditional silver amalgam fillings that can draw unwanted attention. Some people are sensitive to the metal and associate an unpleasant metallic taste with traditional fillings. Modern tooth-colored fillings use high-quality dental material and are seamlessly bonded to your tooth. Your PDA dentist makes sure the color of your filling is a perfect match. Your PDA dentist provides you with plenty of information and time to ask any questions you might have and address your concerns. If you’re interested in tooth-colored fillings, call PDADental or schedule online today.